There comes a time when a business wants to refresh their website. 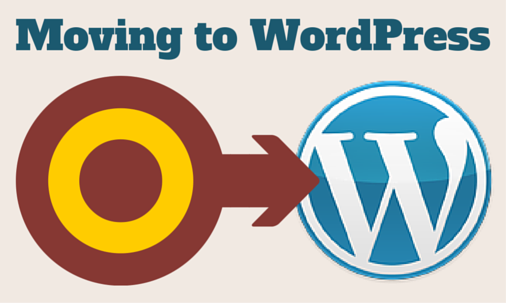 And in many cases it can be beneficial and economical to upgrade to a WordPress website. This article focuses on the special things you want to check during a site migration, with a focus on the new site being powered by WordPress. It mainly focuses on the problem of retaining a good user experience and ranking in the search engines. Finishing up with advice on testing and maintenance after the WordPress site is live. This is a first draft so please write comments at the end if you can suggest any improvements. I do offer SEO Services which includes work such as helping you migrate between systems and/or domains. Almost every site upgrade will involve things moving. The locating of these items on the internet is designated by URLs. You see URLs in the address bar of your browser. Your current site has URLs for its pages, images, downloads and other files used to help the website run. Over time people link to those URLs and the search engines index them. A site migration often means a new system that uses different URLs for the same items. And this can be a problem. Everything moves! Links from those people who linked to you will break. Their visitors will get a bad experience as they hit an error page on your website. They are less likely to find what they originally wanted, if they even bother trying. You will lose visitors and from that leads or sales. Search engines will start to discover that those old URLs are broken. Understandably they will stop sending people to your website. Even more lost visitors, leads and sales. Search engines also take into account links to your pages when deciding how to rank them. Your new URLs are starting from scratch and are missing out on what your old URLs accrued. So, even though Google will update its index, it will not rank the new URLs as highly. It is possible to leave a message at an old URL that tells visitors that it has move, and where it has gone. This is called a Redirect. Adding Redirects to a similar page can stop those visitors having a poor experience. One problem solved. A special type of Redirect is called the Permanent Redirect. This also sends a signal to the search engines that you wish to transfer your old URLs history to the new URLs. This can mean that the search engines will seamlessly update their index will minimum interruption or ranking loss to you. Note: for a redirect to help visitor and pass search engine indexing over it has to be to a page with similar content. If there is no similar content on the new website you should let the URL still return a missing page status. Avoid redirect to the home page. The rest of this article is mostly focused on putting those Permanent Redirects in place. A starting point is to discover all the URLs on your current website that have become part of the internet. The next sections list different ways to find these URLs. You don't have to do all the URL discovery methods below. It depends on how thorough you want or need to be. The most important ones are the URLs for your pages and posts. Some websites may rank well for images and therefore should redirect them as well. The Google Search Console (Google Webmaster Tools) is a big source of information from Google themselves. Replace domain.com with your actual domain. If you have already set up Analytics on the same account you should be able to verify each automatically using the Analytics verification options. Otherwise follow the instructions to use another method. I recommend using the Redirection plugin, which makes adding and maintaining redirects a doddle. Add redirects without the http://domain.com part so that they are domain independent. e.g. start with the /. You can also bulk import via the Options tab. You should review my WordPress SEO Checklist when building your new site. To do redirects we need to know where the content is moving to. And that means developing the content of your new WordPress website. We want to avoid redirects where possible. So when you are creating new pages or posts try and make their permalink exactly match where the old page was. This is not always possible as WordPress has it's own URL structure it has to adhere to. If exact matching URLs is not an option I suggest adding the redirects as you go along. e.g. As you create a page or post create the redirect from the old version to the new permalink. You could also do the required redirects for any images you use on the page, or downloads you reference. It is best to try and keep the new textual content similar to the original page. This reduces the chance that the search engines deem it an inappropriate redirect and decide not to pass on the old indexed data. When you have finished developing the new website you may find that you have not done redirects for all the URLs you gathered. Review these and see if there is any way to redirect them to something of similar content. Maybe a close category or another page that covers the subject. If a non redirected URLs has external backlinks, shows up in search results or is visited a lot you may want to reconsider removing it. Avoid doing redirects to the home page as they are a poor user experience and a poor signal to the search engines. If you cannot find anything appropriate then leave it to report a missing page. Once your content and design is in place and you have the redirects entered you can make the switch. I'd recommend backing up all the files and databases on the old website before doing so. If you are changing hosting you should also make sure things like email accounts are still going to work. You may have made mistakes! A great way to check your website is running smoothly is to crawl it with something like Screaming Frog SEO Spider . To test your redirects you can use Screaming Frog SEO Spider to crawl your original URL list you gathered. In this case you will need the URLs to be complete and including the http://domain.com part. Select Mode->List then the file to crawl. You want to see either direct 200 status codes or single 301 redirects, unless you have left some deliberately to 404. Are all contact details correct? Does it look right on a mobile? Google may discover new issues over time. Continually monitor the Google Search Console data and in particular the Crawl->Crawl Errors->Not found report.